I am frequently asked how to raise your vibration. It’s one of the questions I am asked most about. 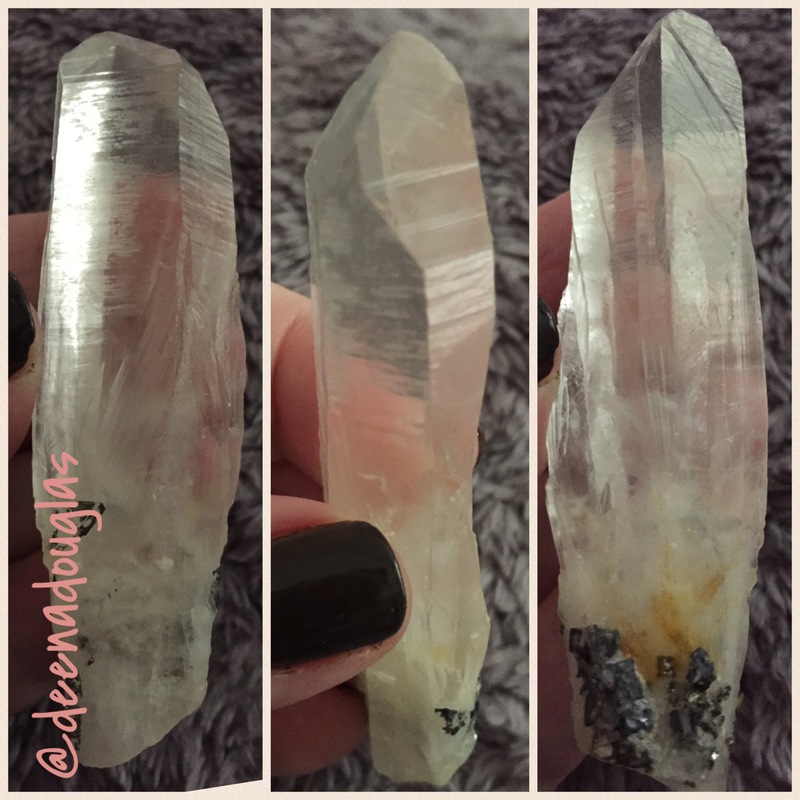 So I thought I’d write a blog post about the ways that I’ve found work best to raise your vibration. Some of you may be wondering why it even matters. Why raise my vibration? And what does “raising my vibration” mean? Everything is energy. And all energy vibrates at a certain frequency. When something vibrates at a lower frequency, it feels heavy – both physically and emotionally. Things vibrating at a higher energy feel lighter – physically and emotionally. Low vibration emotions would be sadness, grief, anger, fear, frustration, confusion, etc. While higher energy emotions include joy, love, openness, happiness, amusement, excitement, etc. I’m sure just reading those two lists of emotions, you can feel the difference. That’s the difference between low-energy or low vibration and high-energy or high vibration. That’s just one of the reasons why you want to raise your vibration: to feel happier and lighter. So if you think about what you want to attract into your life, I’m pretty sure it’s high-vibrational stuff – things that bring you joy and pleasure. Raising your vibration helps you attract high-vibrational experiences into your life. So, let’s get on with how to raise your vibration! Essential oils have become very popular over the last few years, but actually they’ve been used for thousands of years. Different oils give you different benefits. Lavender is good for relaxation, and is my favorite. I almost always have Lavender in my diffuser, either alone or in combination with other oils. Patchouli, Sandalwood, Clove, Peppermint and citrus are all pleasant and high-vibration oils. After researching several brands, I found Plant Therapy, which has become my favorite brand for high-quality and affordable essential oils. They can be found here. Candlelight gives a warm and inviting glow to any room. Fire has also been used for centuries in various spiritual rituals. Just the act of lighting a candle and having it near you raises the vibration in the room. Himalayan salt lamps emit negative ions in the air. While negative ions may sound like a bad thing, they are actually very good for us. Water has negative ions. You know how relaxed you feel after a shower? Or how great you feel when you’ve been at the beach? It’s the negative ions coming from the water that make us feel so good. Himalayan salt lamps also have a beautiful, ambient glow that enhances any decor. I enjoy several around my home, including the metal basket bowl and the carved salt lamps here. Being around nature raises your vibration. Whether it’s walking barefoot on the grass (which also has grounding energy); taking a walk around nature; or even sitting in your backyard, spending time appreciating the nature around you raises your vibration. If you can’t find the time to spend in nature (or even if you can! ), bring nature into your home. Houseplants raise the energy around you, and as an added bonus, they clean the air, too. Clutter has a very heavy, low-vibrational energy. Clearing away the clutter and releasing the things in your life that no longer serve you, lightens the energy and raises the vibration in your home. Listening to high-vibrational music raises your vibration. Some examples of high-vibrational music include: new age, metaphysical, soft jazz. You can see some of my favorites here. Meditation helps you to relax and get centered. It reduces stress and raises your vibration. There are many different ways to meditate. Experiment and find the way that works best for you. 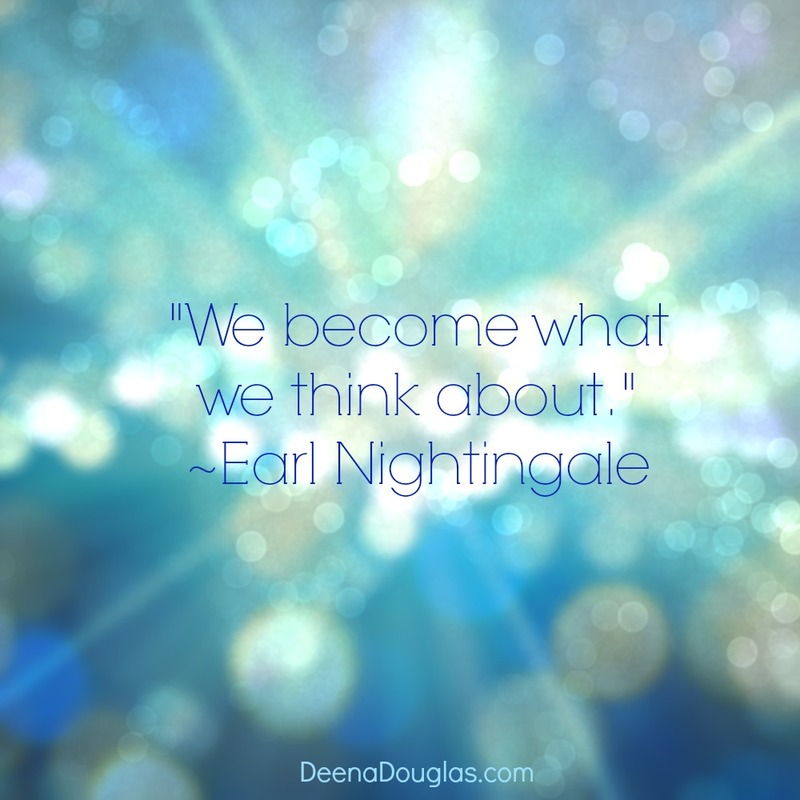 When you visualize, you close your eyes and imagine yourself experiencing something you’d like to have in your life. While you are imagining what you’d like your life to be like, you are feeling what it would be like to actually be having that experience. Having those positive emotions raises your vibration. Writing a sentence in the positive and present tense (as if it were already true) attracts that experience to you, Whether you say affirmations out loud, write them, or listen to an audio, affirmations raise your vibration and attract what you want into your life. 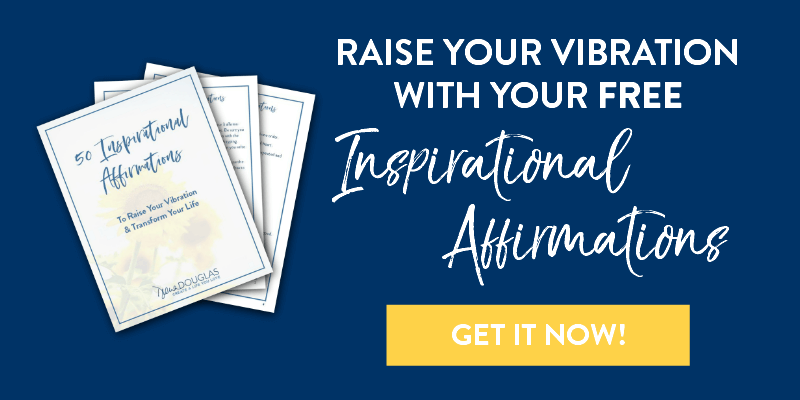 In this blog post, I show you how to create your own affirmations so they are the most powerful and effective. Reiki is Universal Life Force Energy. It is a high-vibrational energy that is very calming, relaxing and healing. When you become attuned to Reiki, you are able to channel the energy through your hands. I do Reiki on myself at night, to relax and help myself fall asleep. I also do Reiki on my dogs. Animals love Reiki! Whether you do Reiki on yourself or someone else (or your pet! ), channeling the Reiki energy raises your vibration. Find out how you can get a Reiki attunement by phone or Skype here. If you want to give your energetic vibration a boost, consider getting an Ultimate Sacred Geometry Activation™. When you activate your eight Sacred Geometry symbols, you’ll immediately give your energetic vibration a jump start. All of these methods raise your vibration naturally because they are high-vibrational objects or activities. They don’t force your vibration to shift from a low vibration to a high one. Your vibration will naturally increase from having these in your life. 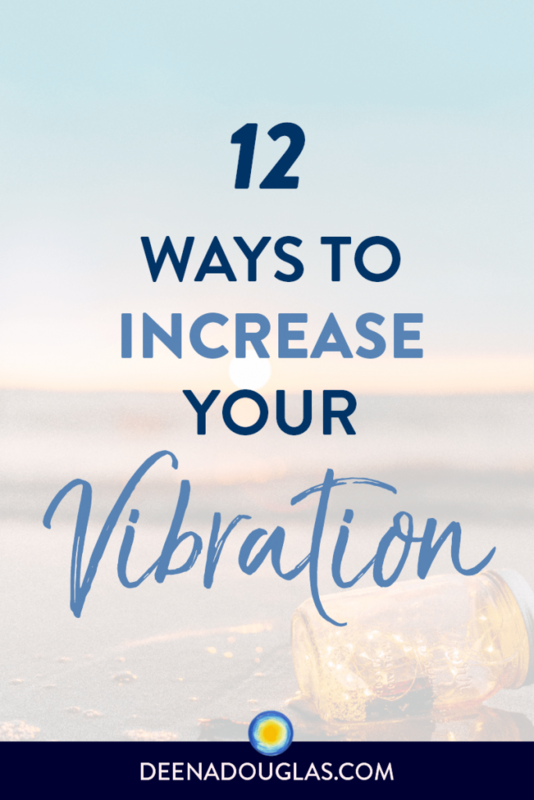 Now you have 12 ways to raise your vibration easily and naturally. Let me know below what you’re already doing that you love, or what you can’t wait to try! I love oils, candles and meditation. I will have to try our your other tips. Thanks for sharing! Fascinating info! I am so drawn to sandlewood and I had no idea why. I meditate every day, but I think I’ll add a Himalayan salt lamp too. You are so right about clutter dragging us down. Thanks so much for sharing!